The Daily Style Sessions at The Empire Hotel was one of the hotspots to hit up during New York Fashion Week Fall 2012. 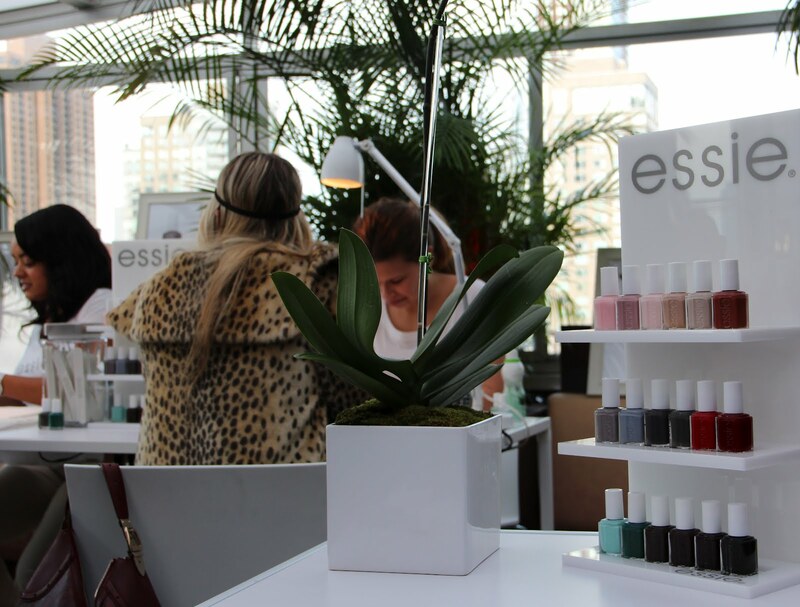 Attendees stopped by in between shows to have a quick cocktail, indulge in some beauty treatments and check out some of the showcased brands. 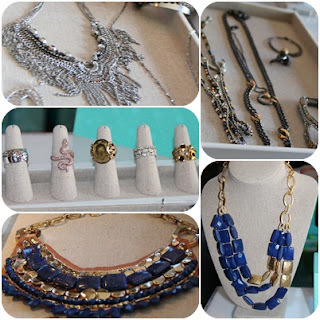 Stella & Dot previewed the latest jewelry from their spring collection, including necklaces, earrings, bracelets and rings. The jewelry is super chic and affordable, with necklaces ranging from $39-$248. 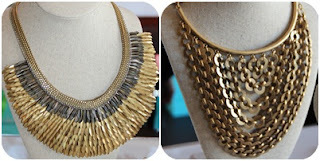 The statement necklaces are my favorite pieces, including the Pegasus Necklace (bottom left, $198) and the Sierra Necklace (bottom right, $148). The assortment offers a variety of styles, from multi-strand necklaces to ones that are perfect layering pieces. Check out the Amalfi collection, which includes shades of the mediterranean with a mid-century Italian flare and find eclectic, everyday pieces in the Urban Splendor collection. 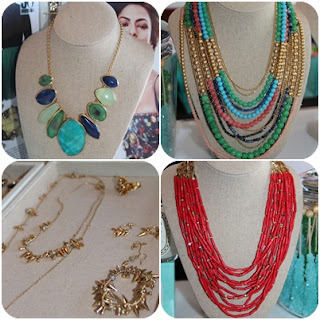 You can shop Stella & Dot at stelladot.com. 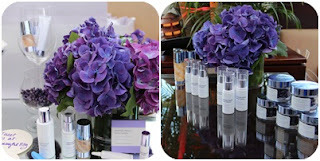 This was the first time I had been introduced to Cindy Crawford's Meaningful Beauty anti-aging products, which she co-created with Dr. Jean-Louis Sebagh. The complete system is available at meaningfulbeauty.com and includes a skin softening cleanser, antioxidant day creme, anti-aging night creme, lifting eye creme and firming chest & neck creme, along with a deep cleaning masque, glowing serum and wrinkle smoothing capsules. Berocca is a vitamin mineral supplement in the form of orange-flavored effervescent tablets that you dissolve into water once daily, keeping your energy going and mind sharp, with only 5 calories! H. Bloom is a flower delivery service starting at just $29/delivery plus free shipping. You get a complimentary vase with your first order, choose which collection you want as well as your delivery frequency, whether it be weekly, every other week or monthly. I had to run to a show, but Simon Doonan had stopped by the H.Bloom table to sign copies of his book, Gay Men Don't Get Fat.